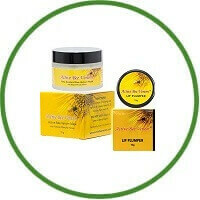 Plump up your pout with New Zealand Bee Venom Lip Plumper. 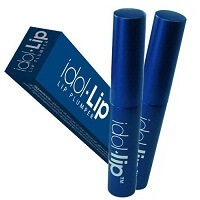 The secret ingredient in this Lip Plumper is pure New Zealand Bee Venom. The Bee Venom is used to gently stimulate collagen production beneath the lips surface giving you that perfectly “Bee Stung” pout. Combined with Manuka Honey and Shea Butter, the New Zealand Bee Venom Lip Plumper leaves your lips looking voluptuous and feeling smooth and nourished. Bee Venom Mask: A Royal Beauty Secret – Nature’s Alternative to Botox. Bee Venom masks have been touted as being a natural alternative to botox, and have been credited few years back with making the Duchess of Cornwall, 63 year old Camilla Parker Bowles, look years younger. The Manuka Honey and Shea Butter helps to sooth, calm and soften the skin. How does it work? The bee venom contained in this product is used to fool the skin into thinking it has been lightly stung. This in turn stimulates the production of the naturally occurring chemicals collagen and elastin, thereby creating a tightening and smoothing effect. A tautening effect can generally be felt soon after application. 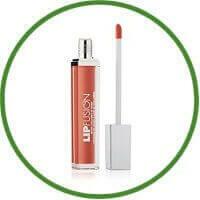 Other ingredients include New Zealand famous Manuka Honey and Shea Butter to sooth, soften and calm the skin. This product can be used as either a WASH OFF MASK or a CREAM.